In stock 161 items in stock. This raw copper is not coated and can build up a layer of verdigris over time unless it is sealed. A little warning, here: I just opened my order of 4 rolls of this stuff, and the outgassing is overwhelming. I developed a headache after only about 4 minutes of handling them. Don't know what kind of solvent they use in manufacture, but unless you want your house/workshop/whatever to look like an episode of 'CSI' or 'Unsolved Mysteries' I would suggest leaving these out in an open-air environment for a while. Are you looking for wider sizes or the specific adhesive material? Wider sizes. 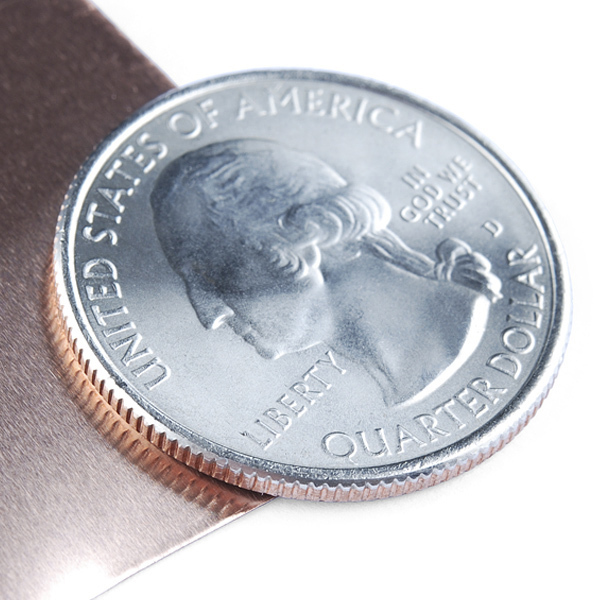 A two inch width really doesnt give you much if you are looking to etch with this. Ok, cool. I'll pass that along and see what our product guys can come up with. How easy would this be to cut with an x-acto knife? Hmmm, I wonder if one could toner transfer a solder stencil on, etch, then stick on a pcb and apply solder? If so, it would offer an inexpensive alternative to purchasing a laser cut stencil. I don't see how it saves on having a having a stencil. Presumably the non-copper parts won't dissolve, so you won't get a stencil until you clean out all of the guck. 1) Draw up a circuit thats 2x2 inches. 2) Print such circuit on regular paper. 3) Put a piece of this tape over the circuit drawing on said paper. 4) Run the paper with added tape back through the printer(laser). 7) come back here and post results. I know this post is two years old, but i recently bought this tape and tried this^. It doesn't work. It just leaves smear marks, and you can scratch the remaining toner off with your fingernail. I wish it worked; i've been having trouble with the toner transfer method. Ive read about people printing on Aluminum foil as a toner transfer medium. So, I still believe its worth a shot! The first link leads to the second one. ... its not exactly a bullet proof source, but atleast i know im not the only one that thought about it! I've been printing directly on flex circuit for years (single layer 0.5oz copper on polyimide)... it works fine with every laser printer I've used. I print on a piece of paper to align, cut a piece of flex circuit, remove the oxidization on the copper with a green scrubby pad, then use masking tape to hold it in place over the printed section. Then I feed it through, untape it, and etch like usual. I don't know how well this stuff would work though, since there's no backing. When you etch, the paper that you're stuck to will probably get weak and crumble. Then you've got a PCB held together only by the traces. :-P Also, if the thickness of the copper is 3 mil, that's about 2oz. copper... which won't be very friendly to etch (take a while, and difficult to get fine details). mabey some plastic transparency or other medium would be better than paper. ** the first print with no tape is just to guarantee you possition the tape on the correct location on the paper. Check out the discussion over here, it's the same thing, just wider. Do you know if the adhesive is conductive? the data sheet says it is conductive. It's great for making things like dipole antennas, rf gasketing, other. Used this copper tape to shield a new Pro-ject Carbon turntable and unshielded interconnects for a nephew living in an apartment. Although it did not eliminate all noise, it was very noticeable at about 10-12 db lower than pre-copper. And that's a lot! The weak spot is in the components themselves (probably the phono preamp) and no amount of copper shielding would have completely eliminated RFI and EMI interference. Bought to shield the GPS module. Worked great! 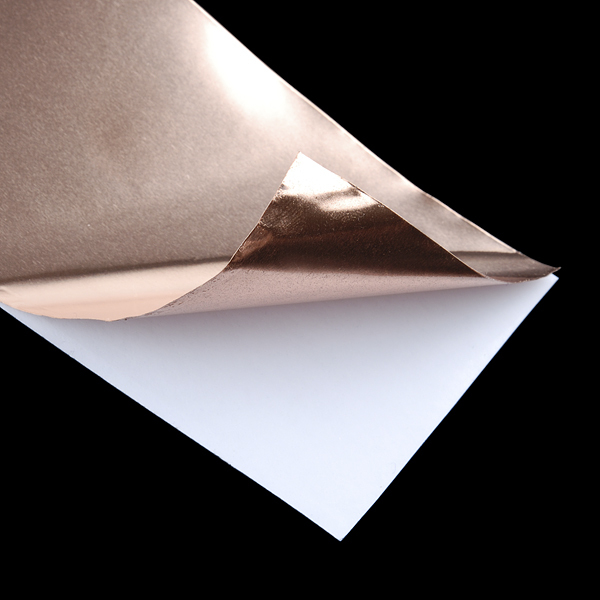 High Quality heavy copper foil with nice conductive backing - excellent for RF shielding, VHF circuit layouts. Solders super easily. Excellent value. 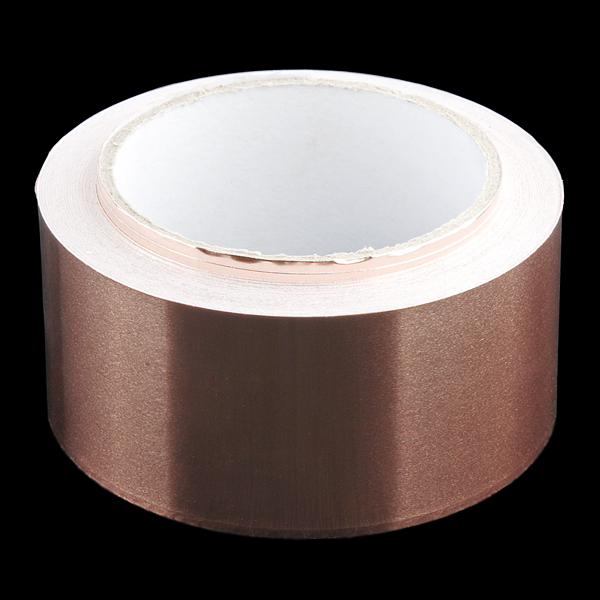 We use this tape for manufacturing electromagnetic antenna's.